According to the Personal Injury law, if a person gets injured due to the negligent or intentional act of someone else, then he can ask for compensation. However, not every situation that leads to a personal injury gives rise to a liability. 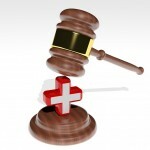 Personal Injury claims arise from different mishap and situations. *Car accidents form a major part of personal injury cases. Whenever an accident takes place because a person wasn’t following proper traffic rules or was driving in a careless and reckless manner, the driver (generally) is considered financially responsible for the injuries resulting from the accident. In no-fault states, this collection is done from the person’s own insurers. *Injury claims related to slip and fall cases generally rely on premises liability laws. These cases are common in personal injury cases. If a person gets injured due to improper and unsafe upkeep of the premises, then he can make a claim for personal injury. Property owners or owners of rented property can be held liable. However, every fall and slip injury cannot raise a liability. *Whenever a patient is injured due to the unskilled or unreasonable care demonstrated by a healthcare professional, then he can make a medical malpractice claim. These cases are complicated and must be handled carefully. *Defamation cases arise when a person’s reputation is injured due to false and malicious statements spread about him. It needs to be proven by the plaintiff that the statements made against him were false and caused him financial or other harm. Libel and slander are the two types of defamation. *Laws related to an owner’s responsibility for dog bites differ from state to state. Strict liability rules hold the dog owner liable even without any aggressive behaviour or biting propensity demonstrated by the dog. In “one bite” rule, owners are responsible only if aggressive behaviour of the dog is known by the owners. *Intentional torts cases arise when a person intentionally harms other person. Although, such cases are mainly considered as criminal cases but, the victim can also claim compensation for the harm caused by the perpetrator.